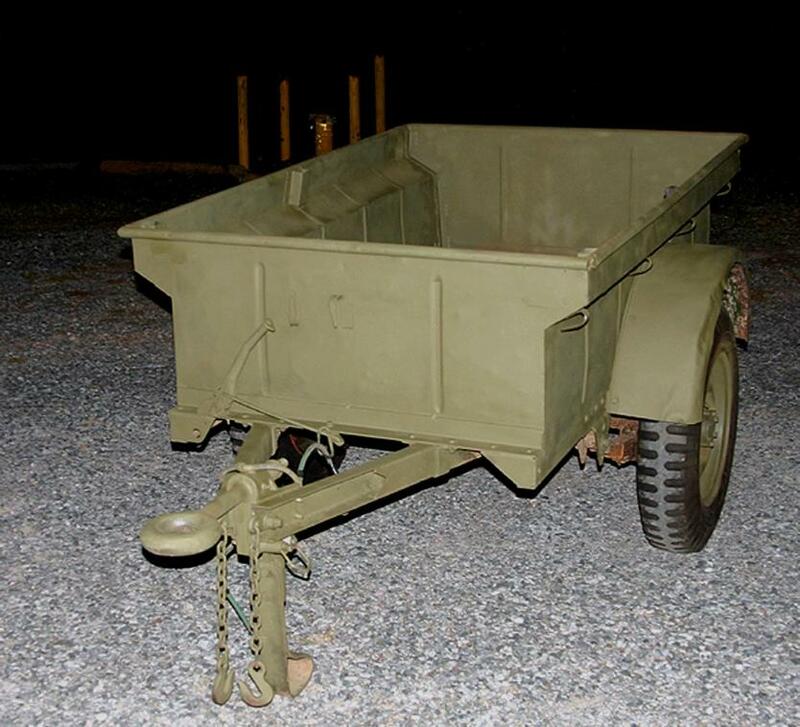 T3-C Serial Number 1715 was an early conversion since it had four tie downs on each side, holes for a trailer brake, combat rims, hole for a blackout switch, military style taillight brackets, no taillight gussets, and probably no tailgate. I say probably since a previous owner had 'chopped' a tailgate in with something like a sawzall. 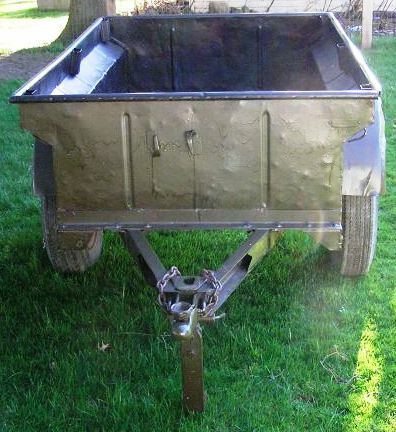 Since acquiring it the trailer got a rear panel welded in to repair the saw damage. It did get a handbrake and blackout lights - as well as add-on civy lights for road use behind my pickup. 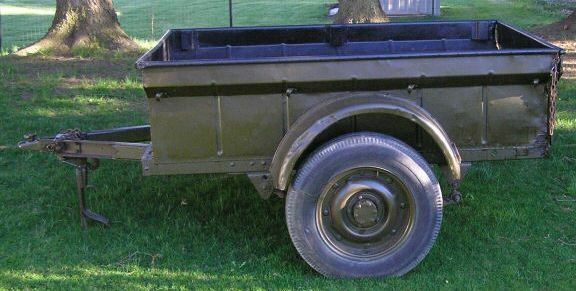 The original ball hitch was replaced with a pintle hitch, however the original hitch and casting can be bolted back on easily. It has electrical hookups for either a civy 4-plug or WWII military plug. 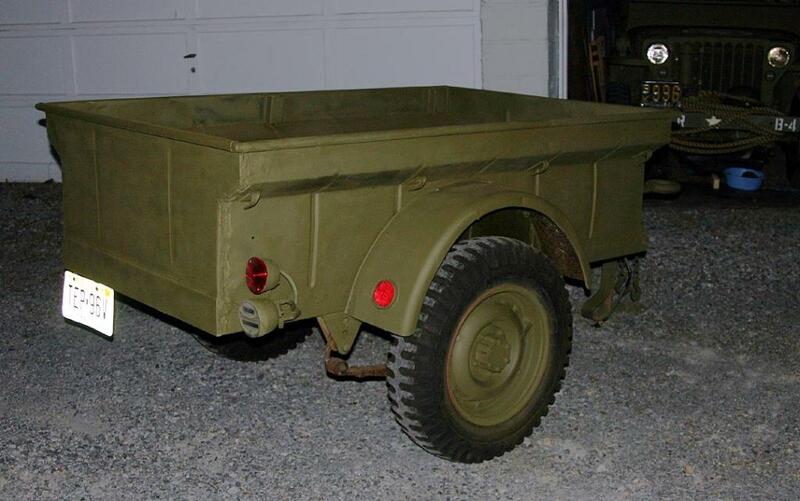 Titled in Pennsylvania as a 1945 Bantam trailer, it is now titled in NJ. 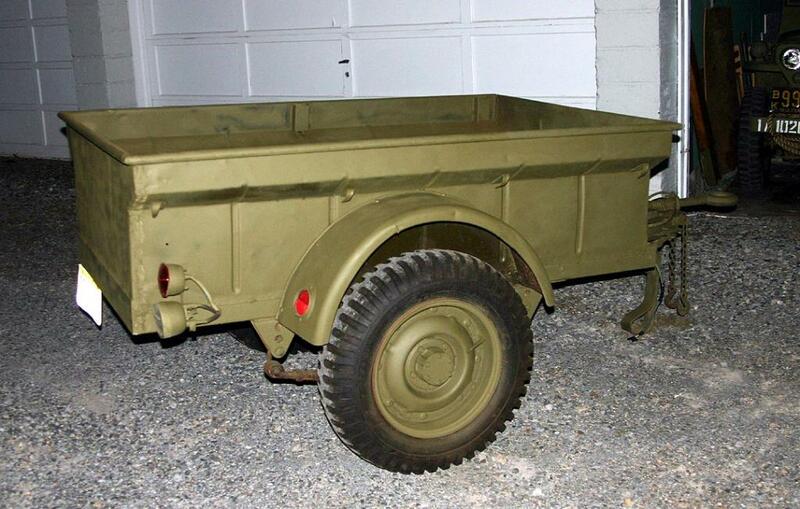 I own a 1946 CJ-2A as well as a GPW and MB.